The benefits of sensory play | Is sensory play really worth the mess? Is Sensory Play Really Worth the Mess? Sensory play can get quite messy. Wrestling nasty stains. Shampooing off sticky bits of goo from their tangled locks. Removing mysterious pieces of debris from the washing machine. There is no escaping the mound of cleaning and stain-removing that sensory play will throw your way. Add to it niggling kicks of OCD and the handicaps of living in the middle of a city with no backyard or garden (to contain the mess) – you will have all the excuses in the world to favour the prim and proper iPad over messy sensory play. Now, is sensory play really worth all the mess and hassle? First things first, sensory play is not always messy. To most of us, the term ‘sensory play’ conjures up pictures of sand tables, water trays and squiggly pieces of jello strewn all around. These of course are some of the sensory favourites. But not what it’s all about. Sensory play is any activity that stimulates multiple senses. The senses include touch, taste, smell, sight and taste plus the two underrated senses – proprioception (spatial awareness) and vestibular processing (sense of balance). As for the activities, they can be anything as simple as crab walks, pillow fights and playing with pasta shapes to activities that include messier exploratory games that allow them to experience various movements, colours, textures, smells and temperatures. Now, what exactly are the benefits of sensory play? A newborn’s brain is packed with over 100 billion brain cells or neurons. During the first three years of the baby’s life, the brain goes into overdrive multiplying the neurons and establishing neural pathways (synapses) between the brain cells to transmit information. Interestingly, not all of these neural pathways are retained as the child reaches adulthood. It’s the child’s life experiences and habits that shape the formation and retention of these neural pathways. As the child grows, the brain remarkably weeds out unused synapses (synaptic pruning), retaining and strengthening only the pathways that are constantly in use. That is, the more you use a synapse, the stronger it becomes. Vice versa, the lesser you stimulate it, the higher are the chances of it getting weaker and purged out over time. The number of synapses usually reaches a peak when a child is 2 to 3 years of age, and then goes through a dramatic decline to about 50% by the time the child is around ten years of age. It is this plasticity or “use it or lose it” process that allows the brain to function efficiently and allows a person to adapt flexibly to the circumstances they are brought up in. Engaging multiple senses help children build and strengthen neural pathways which can help them learn and master complex skills in later years. For instance, babies who are introduced to sensory activities that support eye-hand coordination will be more likely to have strong neural pathways for visual-spatial perception. This will not only equip them better to excel in sports and academics later in life but also make it easier for them to master many of the life skills from typing and using cutlery to driving and assembling objects. Now, does that mean a person with weak neural pathways in a certain area will not be able to develop them later in life? Research suggests they definitely can. But it will just be a harder endeavour for them than it would have been during their early years of development. If you have noticed, the sensory experience of splashing around in the bath with their squishy duckies in tow usually helps the hyperactive little toddlers to calm down before heading to bed. Similarly, if a child is easily overwhelmed with noises and busy environments and finds it difficult to interact and play with others, introducing them to sensory bins and other calming sensory activities can help them learn to block out distractions, enjoy the moment and focus on the task at hand. Simple sensory activities such as stringing beads and rolling out shapes with play dough can help them hone their fine motor skills – making anything from fundamental skills such as buttoning their shirts and tying their shoelaces to developing a fine their handwriting easier tasks to achieve. From touching the slimy slug to tasting the nectar from the flowers, letting them experience different textures, tastes and smells are little steps that can gradually help the fussy eaters’ palate to graduate from fish fingers and hot dogs to more adventurous foods and flavours. Playing with objects of different sizes, shapes and textures is another sensory activity that can help children to describe their thoughts and put their feelings into words. Simple as it seems, it is an exercise that can lay the stepping stones to effective communication and language development. Sensory exploration is the child’s way of taking in, discovering and making sense of the complexities of the world. 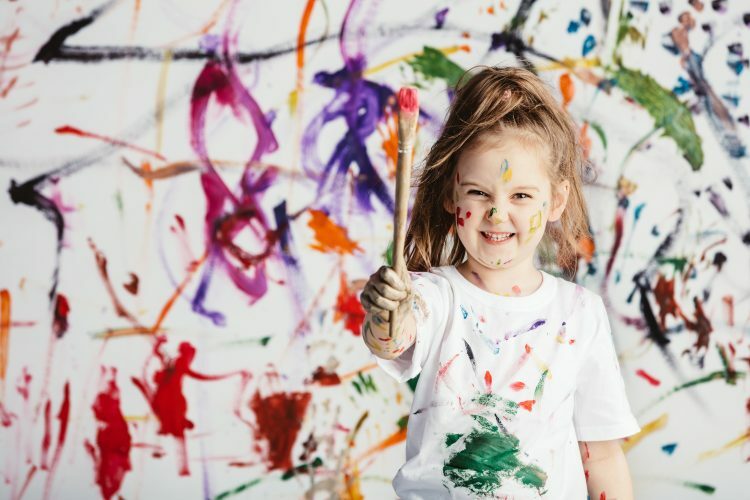 Messy as it might get at times, allowing them to explore the world with their senses will hone their cognitive skills, learning abilities and confidence and set them on a better foot to face the challenges of growing up. You might also like 6 Creative Cognitive Activities for Preschoolers.